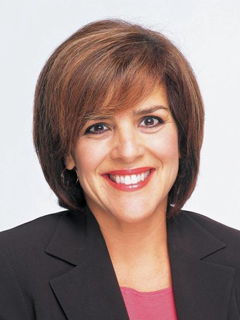 Jacqueline R. Menendez, the former village manager of Key Biscayne, became the University of Miami’s vice president for university communications in June 2007. A UM alumna who received a broadcast journalism degree, Menendez has managed communications in a number of roles in her career: as a news reporter, as a Miami-Dade County spokesperson, and as a senior administrator in local government agencies managing community and crisis management issues. At the University she oversees media relations, marketing, and communications. Her division is responsible for advancing the communication of the University's mission as well as its reputation and identity as a leading academic and research institution. Under Menendez's leadership, Key Biscayne was celebrated as a prototype of effective municipal government. As village manager, she was responsible for overseeing a workforce of 120 employees, an operating budget of $20 million, and a capital inventory of $60 million. Menendez was selected among the 40 Most Influential Hispanic Women in the U.S. by Vanidades magazine.